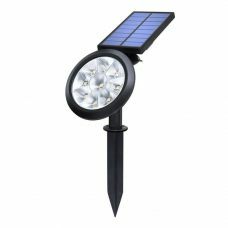 Bright 48 LED Solar Garden Flood Light for Landscape Decoration is a high-quality durable waterproof product with multiple features. 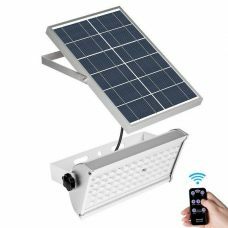 The light operates in Five Lighting Modes including Full Brightness, Medium, Low Energy-Saving Mode and SOS with Adjustable brightness up to 500lm. Universal wall and ground stake mount makes the product easy to install and operate at home, garden, backyard etc. 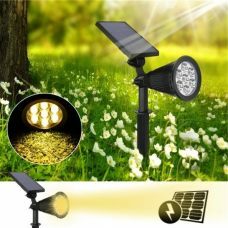 - Bright 48 LED lighting up to 500lm when fully charged with extended working lifespan and special square design to distribute lighting with a wider angle. 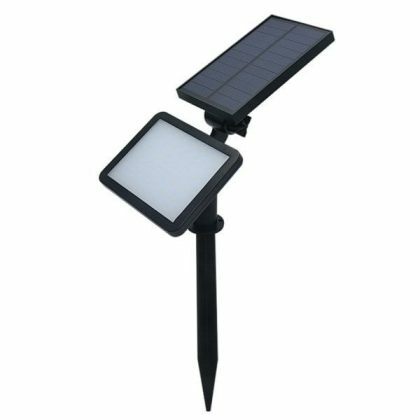 - Flexible Constriction allows adjusting the light angle to get the perfect illumination for the area and the panel angles to place it in a well-lit spot. 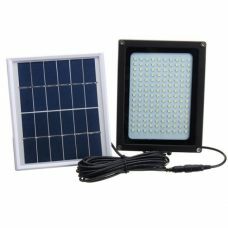 - Fully automated operation process with Special built-in Light-control System for day/ night Auto switch On and Off. 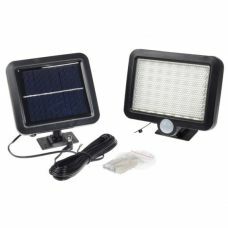 The solar powered flood light for outdoor delivers reliable long-lasting lighting and is ideal for maintain casual, emergency or security lighting around the house, garage, driveway, garden, patios, side and backyard, aisles, stairs, entryway, path, fence etc. 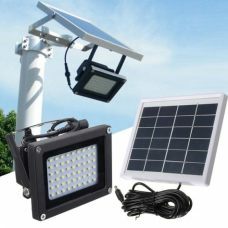 - Security and emergency lighting for any kind of premises and real estate. 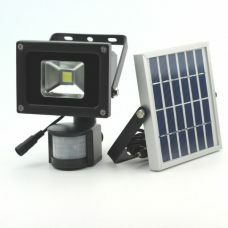 1 x Solar Powered Flood Light. The lights work well. 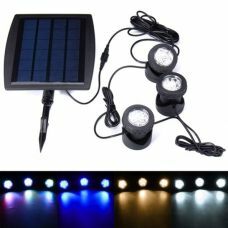 The hard start of the battery with the 100% light lasts less than 5 hours on slightly cloudy day. Will see how it goes on fair day.